Resting Bell is very happy to welcome Damian Valles. Damian is a Canadian multi-instrumentalist who creates ambient/experimental works based mainly on solo guitar. He utilizes a wide range of sources to expand his sound which include a variety of percussive elements, piano, and field recordings. Past releases include a full length on the excellent Under The Spire imprint, and a 3″ EP on Standard Form. The latter being the first in a series of limited 3″ releases called “Rural Routes” that he is curating for the label. 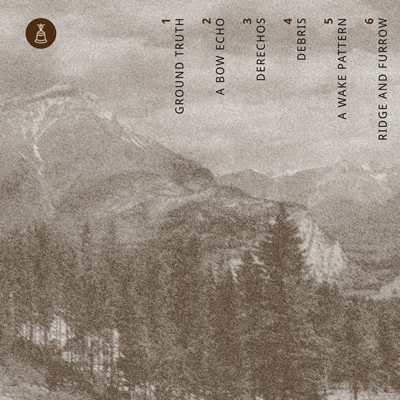 His work “Bow Echoes” contains 6 audio-tracks with a duration of about 40 minutes and a 10-minute video for the opening track “Ground Truth”. 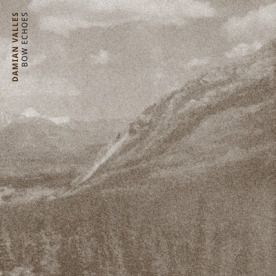 Compared to his other releases, Damian put his focus more on drone- and ambient-scapes; however, “Bow Echoes” still has a very, very strong melodic center. The dominant washed-out and fading guitar-work give the whole release a touch of beauty and sublimity. Blurry shades, dimly lit landscapes, and warm colours layer and fade into each other. In addition, the video for “Ground Truth” perfectly visualises the sound and feel of the complete release. Enjoy this wonderful release, full of warm drones and melodies, and welcome the spring (at least on the northern hemisphere)!